Functional movements are exercises that are analogous to and/or improve your capacity in real-world movement and physical problem-solving. They also tend to be movements in which a large load is moved over a long distance in a short amount of time, which make them great tools for increasing both strength and endurance/stamina. Constant variation means that CrossFit workouts, or WODs, change daily, using virtually infinite combinations of functional movements. This ensures that your CrossFit regimen never becomes boring or routine, and, more importantly, that your body is constantly adapting to meet the changing demands of the WODs. High intensity refers to the uncomfortable truth about exercise. By pushing yourself to perform at your highest level in every workout, you’ll see results far beyond what you imagined could be possible. 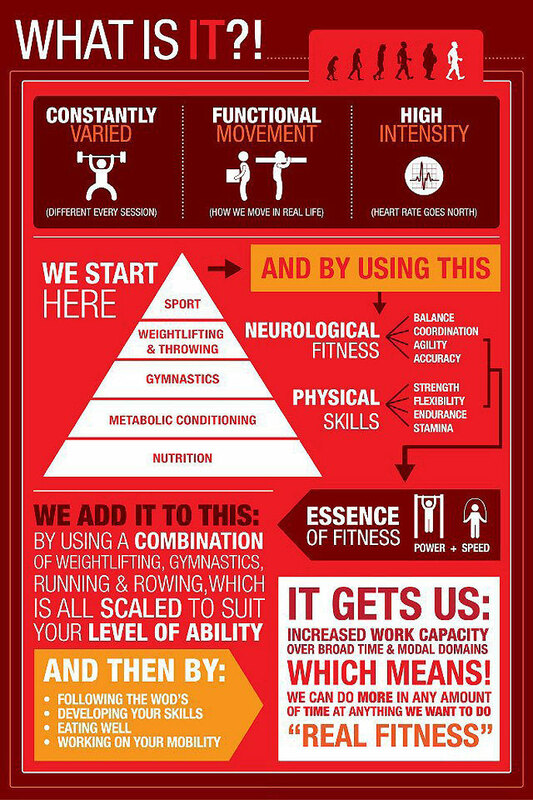 Exactly what constitutes “high intensity” varies from person to person based on a variety of factors, but we ensure that every member of CrossFit 727 safely and effectively reaches their highest possible level of intensity by scaling the workouts to each individual’s age, ability and level of fitness.